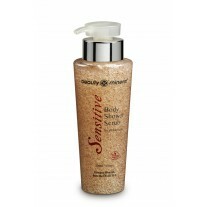 Beauty Mineral Luxury Body Lotion is enriched with Natural Minerals from the Dead Sea. Luxury Body Lotion helps maintain the skin's natural suppleness, relaxes the skin and leaving it soft and silky to the touch. Body Lotion restores lost moisture, softening and preventing further moisture loss. Beauty Mineral Luxury Body Lotion is enriched with Natural Minerals from the Dead Sea, Aloe Vera, Vitamin E, Chamomile, and Aromatic Oils: Jojoba Oil, Evening Primrose Oil, Olive Oil, and Borage Oil. 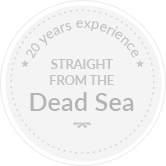 This unique combination of Dead Sea Minerals together with natural ingredients immediately absorbed into the skin, it helps maintain the skin's natural suppleness, relaxes the skin and leaving it soft and silky to the touch. Body Lotion restores lost moisture, softening and preventing further moisture loss. Directions: Apply generously over the body and massage gently until completely absorption. 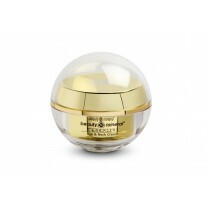 For best results apply after shower or bath, or anytime your skin needs a moisturizing lift. Recommended for daily use. Paraben Free, Mineral Oil Free.